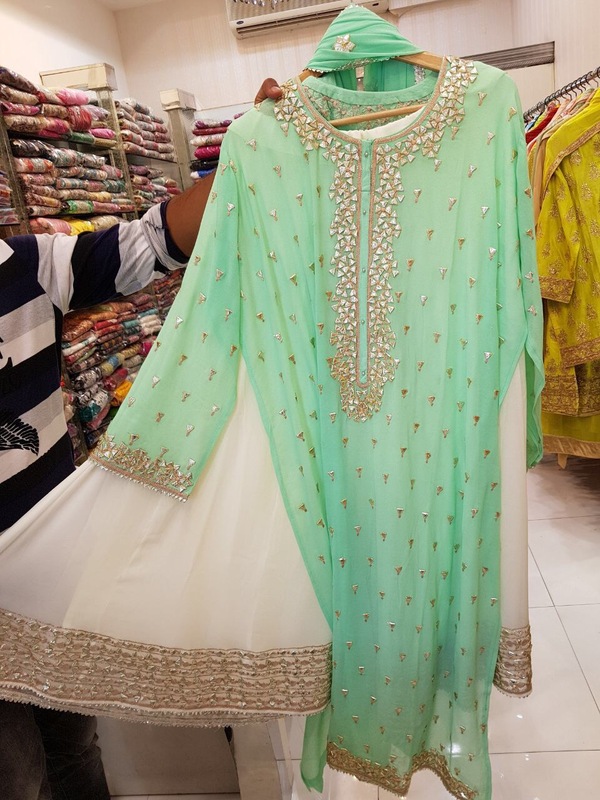 Home Uncategorized Sharaara Dress hunt in Meena Bazar . 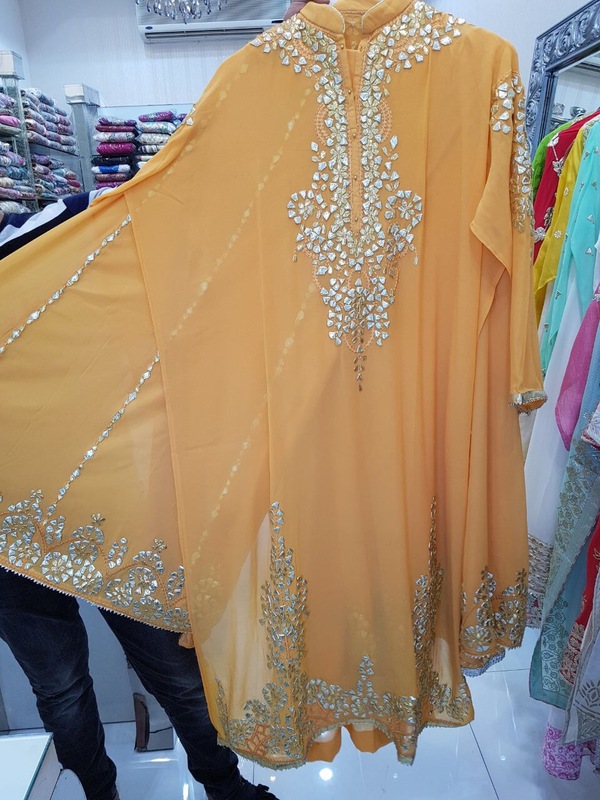 Sharaara Dress hunt in Meena Bazar . To my understanding Sharaara is the skirt kind wide angled pants with a hip/ knee length top. First time I saw these on fashion was in Bollywood movies , back in my childhood …… then over recent years have seen them in some new generation movies too . Parineeti Chopra did wear one in Ishaqzada. I guess that was Gharaa, to my understanding which she wore . Well both are common Muslim wedding and party attire up in North India and Pakistan . Both have ideally short top and loose bell pants or plaazo pants , the main difference is Gharaara pants are ruched at knees while Sharaara pants are not . I did see few of them at the dubai Ramadan Night Market , but that was an exhibition and I dint want one then . 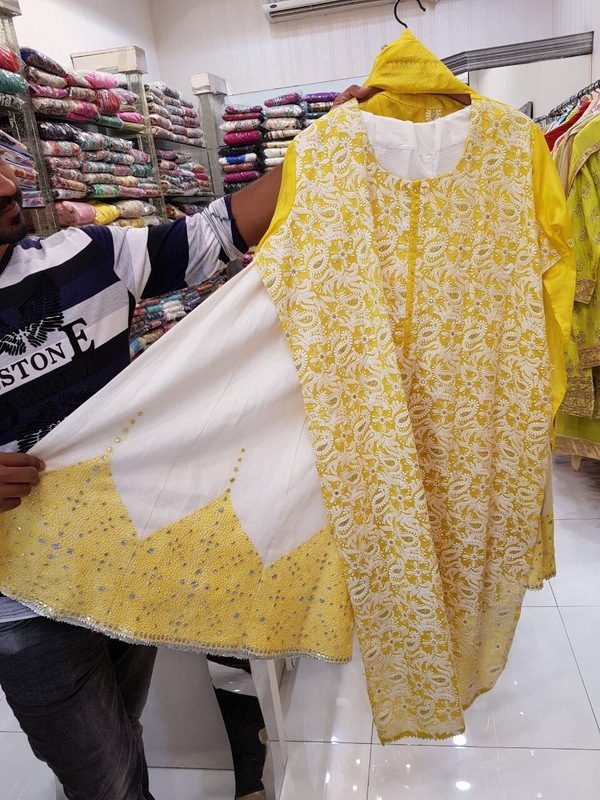 A week later my sister from India, rings me up she wants one to shop for her .Also got some requests from my followers too so that how I went hunting , due to the intense summer heat , I couldn’t roam around Meena Bazar and find where all and what’s best deal . E being from south India, this is model of dress is not quite common and available in our place . I am sure these would be half the price with better collections up in North Indian region . Sanam Tamanna was in my sight as I parked next to it . 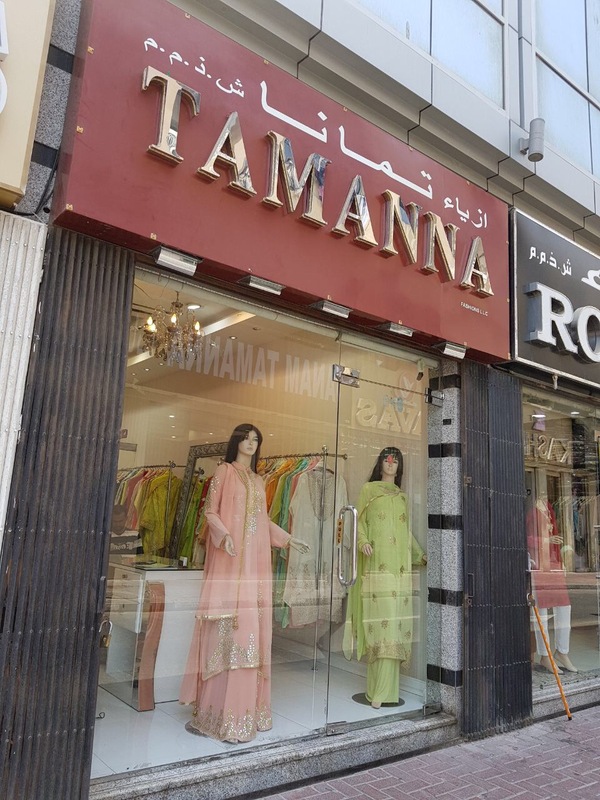 I could see the mannequins wearing the sharaara , the kind I was in search of , so stopped by there only . There might be other stores in Meena Bazar too , well I am not aware do message me if you know one . 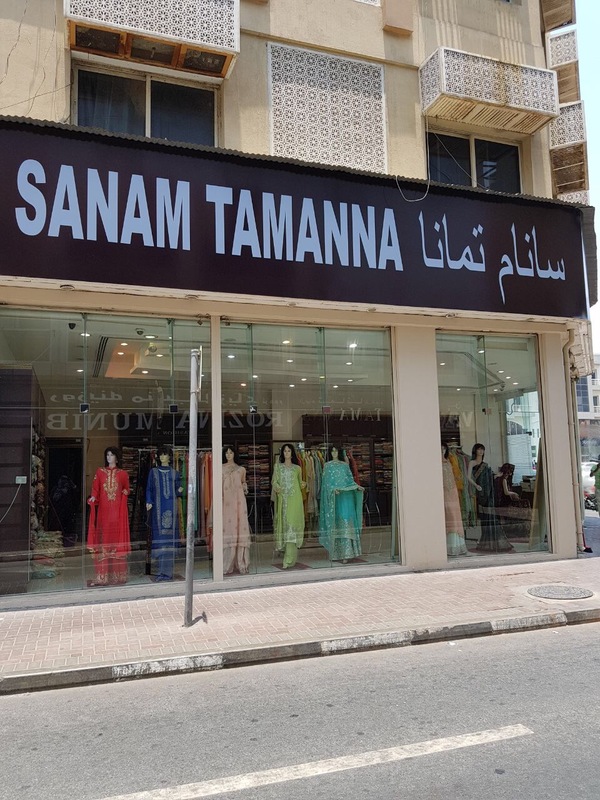 Sanam Thamanna , is a known brand in Meena Bazar , also they are quite active in dubai exhibitions . Two years back I had shopped their collections from one of the exhibitions in Dubai. I have noticed their collections are mostly of sharaara kind . The works are gotta patti , chcikenkari etc . Prices are on high range , I could say the starting rate is 600 dhs plus , be sure to bargain and see your luck . They have two shops both facing opposite . 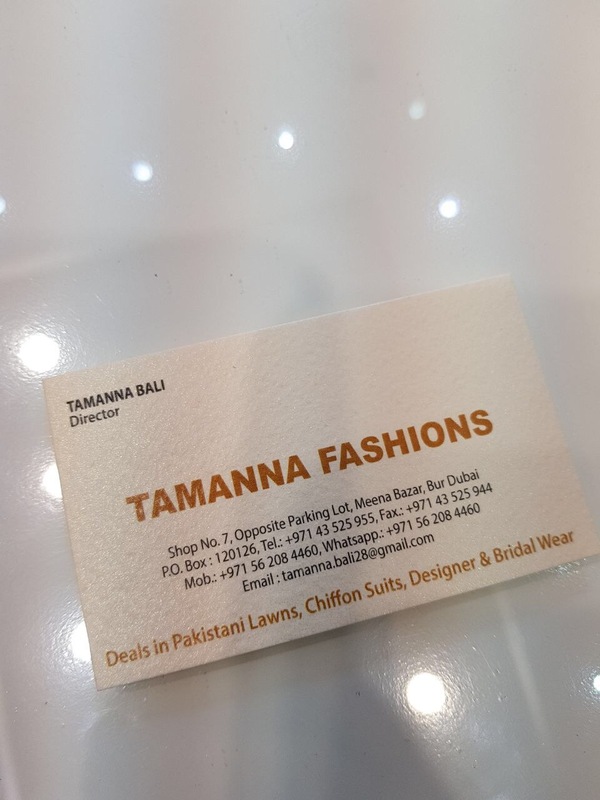 The store is located in Meena Bazar , have updated their business card too . They dint allow to take pics , hence the lame quality pics , these pics are those with the sales guys permission which I took to send my sis , for her to select . I am linking their insta page and fb page too . 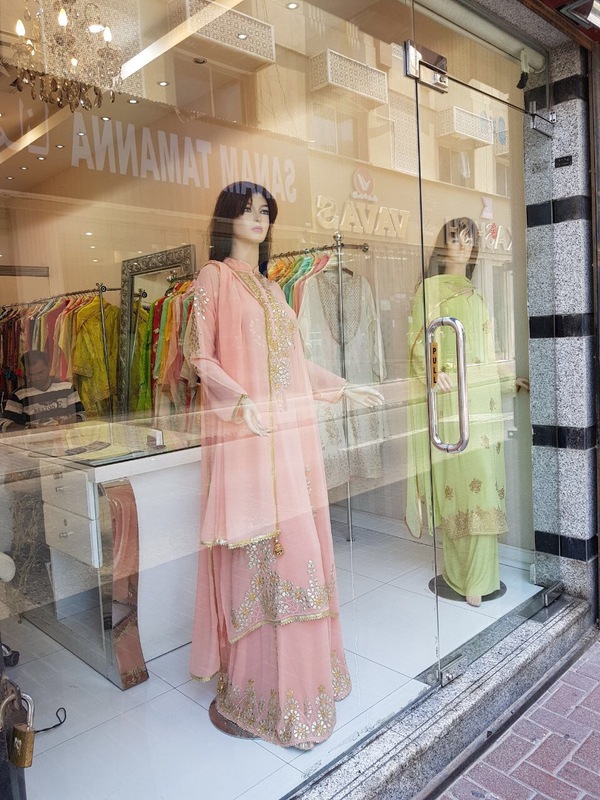 Previous articleVASHU Trading – Our Favorite Matching Centre in Dubai .